I try to be fairly mindful of things like protein and B12 and calcium and such. I think the bigger concern for me is that I never seem to feel full and I overeat and I keep struggling to not gain weight. Thanks for your thoughts, Sassy. Sassy Sez: Hi Roia! Isn't it crazy when you do your best to eat a healthy, balanced vegan diet so you can get the nutrients you need, and it all causes you to gain weight!? My darling, it's time to get to the bottom of this. You say you constantly struggle to NOT gain weight. It just really should not be this difficult. If I were a betting gal, I would say there is something you are doing that is going against your weight maintenance efforts. Well, first and foremost it's because if you WERE getting the nutrients from your food, you would feel full after you eat. It's truly that simple. 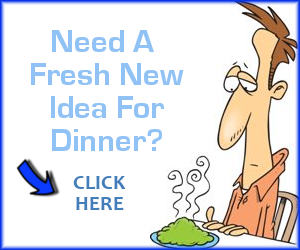 If you eat a meal, and you're still hungry afterwards and want to reach for more? That means your food is likely not providing the nutrition you need. Your body instinctively will STOP wanting food when it gets full...of nutrients, that is. Let's take pasta as an example. Have you ever had a big ol' bowl? I bet after you finished it, you still wanted more, More, MORE! That's because it is fairly nutrient-free. It DOES help things along a bit if you choose whole-grain pasta, but it doesn't make THAT much of a difference here -- it will still not satisfy you nutritionally. Now, let's take a different example. Have you ever had a big ol' bowl of cooked kale? I mean, a giant bowl of it? Well, chances are the answer is "no" because it is amazingly filling. It's nutrient-dense, and provides you such an incredible amount of stuff your body needs, that you would really be hard pressed to overeat kale. Many of my amazing students struggle with this very challenge when they begin my weight loss course, where I lay out all the foods they should and should not eat as we work toward creating a healthy, weight-loss supportive menu. When they begin the course, many struggle with overeating during the day, yes, but they also find themselves getting hungry late at night just before bed. This is also a clear signal that they didn't get the nutrition they needed all day long. As one student recently said partway through the course, "I have ALWAYS loved to eat. Lots of food. Seems lately though that much smaller amounts satisfy me. Gee, could it possibly be that I've found the nutrition that was lacking?...Now I am much more conscious of what I'm eating." So it's important for you to learn which vegan foods will give you the nourishment you need -- the biggest bang for the buck, if you will. If you eat the foods you need to be healthy, it squeeeeeezes out all those extra foods you're eating that offer you nothing in the way of protein, carbs, vitamins, minerals, and healthy fats. Study the Vegan Food Pyramid to be sure you're eating the foods you need to be healthy and strong. Of course, always choose foods that are good for you, such as veggies, beans, whole grains, seeds, and healthy fats like avocado and nuts, etc. Hope this helps. Would love to hear from others out there who have discovered what a difference it made to their eating habits when they began to eat more nutrient-dense foods. What say you, Vegan Coach peeps? Giant hugs to you, Roia! "I was a junk food vegetarian and ate a lot of processed products. After following the course, I feel so much healthier. I never binge eat like I used to and I've lost weight!" Next: Weight Loss Program For Current Vegans? I have recently been suffering a similar problem after a lovely five years of veganism I haven gained any weight, but seem to be losing a bit and I have been hungry all the time lately. To resolve it, I eat more lentils and sweet potatoes in addition to lots and lots of kale and fresh veg daily and it seems to be working. We have been eating a huge salad daily for dinner in addition to a small portion of a hot meal as my hubby needs to lose weight, but I don't need to and I believe we may have found a reasonable balance. That's so good to hear. Love when you can find your way through in a way that is healthy and works for your lifestyle. It's always so good to end your day with a huuuuuge salad. I love to start my day with fruit. Then, the more carb-rich foods like whole grains should be eaten earlier in the day so your body has a chance to burn it off. Beans and veggies can and should make an appearance at any time. Some people do better with more grains in the evening, though. For instance, hubby Jeff is an entertainer and he needs to load up on carbs at night before a gig to give him lots of energy. But I'm usually winding down and will opt for salad and/or veggies. I understand what you mean! 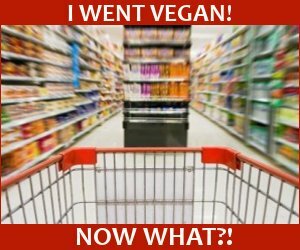 I have recently gone vegan (yay! - well, I'm 98% there - I eat cheese once in a blue moon, and I love salmon sushi about once a month, but that's it). I'm getting married this summer and have been trying to lose weight. I exercise 3-4x/week (cardio and weight lifting), but I find myself confused with what's most important to lose weight: I'm trying to get in all my nutrients (beans, healthy fats), but by doing so I'm going over my "calorie budget" that apparently I should follow to lose weight. So how can I balance eating healthy, without consuming too many calories? It seems that a lot of foods that are good for us (avocados, grains, beans) also contain high amounts of calories. How do I balance it all?? Counting calories will drive you crazy as a vegan. There is absolutely NO reason to count calories. Counting calories is something that non-vegans have to do because soooooo many foods they eat are high calorie. 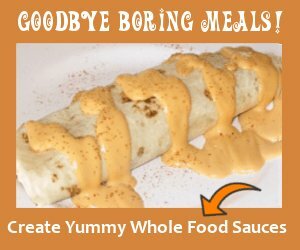 Cheese, milk, sour cream, etc. The calories from plant foods are necessary and you shouldn't be afraid of them. What is your age? 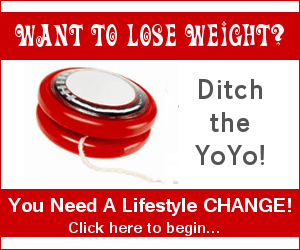 Perhaps you are having a hormonal challenge of some sort if you cannot lose weight. Also, do you have a bulging belly? If so, that is a huge indicator that your intestines are backed up, girlfriend. And in this case, I recommend a cleanse to push some of that gunk out of there. Colonics work beautifully as well and can be quite magical if you can get past the thought of it!! I hope this helps! I'm always here if you need further assistance. :) xo! Thanks so much!! That helps to know that I don't need to drive myself crazy counting calories! I'm 27, and are fairly average height/size (5"4, 140 pounds - trying to lose 10pounds in next 2 months). My "problem area" is indeed my belly. I have let go a bit of counting calories, but the fat intake is the hardest to track. I love avocados, but I know that one avocado contains all the necessary fat that should be consumed in just one day, therefore leaving me little room to have other healthy fats (nuts, seeds). 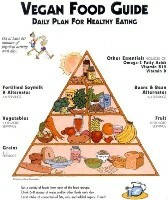 The vegan food pyramid isn't clear on how many "nuts" (hehe) and seeds/healthy fats you should be consuming in a day. Any tips on that? Also, your blog has completely changed my life, so before I even forget to say it - THANK you! Your ideas, suggestions, and loads of information is exactly what I needed to continue on this journey!! You don't have to worry so much about healthy fats. Truly. I know some people think you do, and if you were eating a regular ol' SAD (Standard American Diet) then perhaps you would need to watch your fat intake. That's because you would already be eating so much fat in the form of milk, cheese, meat, and other animal products. But the vegan diet is so low fat automatically, that those eating a healthy vegan don't have to be as concerned. I recommend you check out this article and video about nuts to help quell your fears! I am currently in week four of Get Down with Sass. I have been a vegetarian for 15 years, but intend to stay at least mostly vegan after completing the course. I am taking fiber as part of the plan and with eating all the fruits and veg, I find that I am rarely ever hungry. I used to be hungry and overeat on sweets before starting the course, but now they don't even appeal to me. I can't tell you how much better I feel. My clothes are looser, I feel healthier, and my husband says my skin is glowing. So, I would recommend trying Sassy's course if you are stuck in a rut like I was. Hi there, and thanks so much for sharing your results thus far with Get Down With Sass! That is fantastic to hear. Yay! I'm sure others will find it helpful. xo! I do not have a problem with weight-gaining as the original poster (I'm more or less standing still in one spot), but I do have trouble keeping my belly satisfied. I have tried changing pasta and rice to whole grain, adding even more beans or lenses (?) to my meals, and also tried adding different kinds of protein rich foods into one meal. But I still get hungry 1-2 hours after a meal, no matter how little or much I ate. Of course I can have a fruit, a hand full of nuts or something, but small "extra meals" only help for like, 15-30 minutes then my tummy yells for more food until the next major meal. What nutrients could I be missing in my foods? I have read that drinking too little can cause "fake hunger". Is this true? I mean, I doubt I drink the recommended 2 liters of water per day, more like 0,5 to 1l. Another thing is that my breakfasts are rather small. I usually just have a bowl of soygurt, granola, some berries and seeds. Would a bigger breakfast help my belly be happier during the day, and what could that breakfast consist of? Finally I want to add that I workout at least twice a week, and more usually 3-5 times. I do worry I might just eat too little/too seldom for my choice of lifestyle. But when I ate meat and dairy products and eggs, and kept the same workout schedule, I did not have these problems (and ate just as much or little as I do today). Good to hear from you. One interesting thing about moving away from eating animal products is just how much more you have to eat. That's because plant foods digest far more quickly than animal products, for the most part. For instance, if you were to sit down to a meal of a giant salad made with salad greens, the time it takes to leave your stomach and move on to the intestines is around 30-40 minutes. But if you sat down to eat a meal of beef, it would stay in the stomach for around 3-4 hours to process before moving on to your intestines. 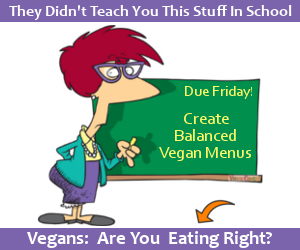 A 100% vegan diet actually digests rather quickly, all things considered, so you will likely have to eat more than you think in order to stay satisfied for hours. Fortunately, foods like nuts and seeds, and the complex carbs in beans and whole grains, leave the stomach in anywhere from 90 minutes to 3 hours, which is right around the time for your next meal (if sticking with the recommendations that you should eat six small meals a day -- which is actually ideal for encouraging weight loss). You asked quite a few questions which are covered in my course Plan It With Sass! (such as how much water to drink, what to eat for breakfast, and just so very much more). But if weight loss is your goal, then Get Down With Sass! 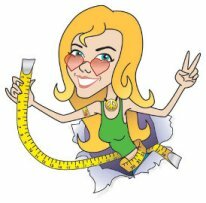 is what you want -- the same info is covered as in Plan It, but it's geared to weight loss specifically. I have the same problem with overeating and never feeling satisfied but recently I've read a book on mindful eating that encourages chewing for longer and putting cutlery down between each forkful and it's really helped. It's also good to try to taste all the individual flavours while chewing and to imagine where each food item has come from and all of the different stages it's been through to get to your plate. I like thinking about all of the workers that have helped it along the way from the farmer watering the soil to the processers, packagers and shop owners.....not only does it keep you chewing longer but it reminds you of some of the reasons for eating vegan food! I've been vegan for a year and have tried to show mmy mom how to eat less animal based foods. Just this thanksgiving I showed her some recipes. And remade them recently. I want her to stop eating meat completely but I think I may be setting a bad example by eating as much as I do on a daily basis. How do I explain to her that it can be filling (and cheap) to go vegan? Can not feel full without cereal for longest time. For the longest time, I couldn't feel full without a bowl of cereal. It didn't matter what else I tried to eat, if it didn't start with the bowl of cereal, I would feel starved all day until I got it. Now, as of recently, since I am now eating plain cheerios, (non gmo), I do not feel full. At all. So I feel empty all day. No matter what I eat. I recently made the switch to organic. Could that be why? I went vegan a few weeks ago, although I had been vegatarian for a long time.I have cravings now when I need stuff. I craved mushrooms maybe for the vit d. I ate a ton of chocolate that had a lot of iron but then I just felt like I was good. Now I am doing the spirulina chia kombucha. I think vegan is higher maintenance because you actually eat food. Your body tells you what you need NP. I have 1000% more energy and clarity and a huge appetite. This is a good thing because I have IBS and had no appetite before. I feel much better. I recently switched to a vegan, plant-based, no oil diet, and I am feeling great. For those complaining about being hungry, I have found myself the most full and energized in the morning after eating a bowl of oatmeal (there are super grain varieties) topped with 1 sliced banana, a few sliced strawberries, handful of blueberries, 1 sliced kiwi, some scattered flax seeds and coconut slices and a dollop of maple syrup. It looks beautiful and gives me the energy to go on runs in the morning. for lunch/dinner I have made a 'chilli' with onions, garlic, mushrooms, crushed tomatoes, corn, chickpeas, beans, and qinuoa that gives tons of energy. Use spoonfuls of water instead of oil to cook - it lets you really taste the flavour of the vegetables. My favourite salad is a roasted kale salad - cut up kale, mix it with vegetable broth and sliced garlic, place it in a roasting pan and cook in the oven for 10-15 minutes. Then mix it into a salad with baby spinach, sliced Apple, chickpeas, onions, cucumber, and season with lemon juice, cayenne pepper, and tahini. I make more than I need in one sitting and just store in tubs in the fridge to pull out and eat when hungry. You can also snack on a few nuts, raisins, and dates if you get that craving around 3pm. But, go light on the nuts, raisins and dates - these should be eaten sparingly. You can also mix a salad of sliced peaches, mangos and cilantro, onions and lime juice.